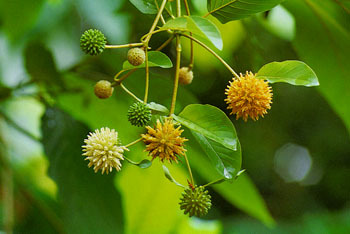 100% Natural, Wild-Harvested or Plantation Grown Plain Leaf Kratom (Mitragyna Speciosa) from Southeast Asia. No extracts or adulterants! We have been serving some of the best kratom on the Earth since 2013. What sets us apart from many other vendors is the extremely high standard and unwillingness to sacrifice quality for quantity or profit. Quality, Lab Tested Purity & Excellence. We are about quality over quantity, we may not be the least expensive but we are not the most expensive either as quality costs to produce in purity and excellence. All of our products are either Vein Color and/or Origin-based strains or unique House Blends. Our House Blends are artfully crafted with precision in order to achieve the most qualitative end-product. We take great pride in our kratom strain & blend choices. We ship same-day for orders received by our cut-off time: 12:30 pm EST from Monday – Friday. Our customer service email response time is 24 hours or less (usually far, far faster) during our regular business days/hours. Another point of interest is that we allow our customers to create their own blends. See for yourself: Create Your Own Blend Now! Live Plants are generally shipped between Mondays – Wednesdays (w/exceptions). Please allow 2-3 weeks for potted plants cuttings to be shipped. 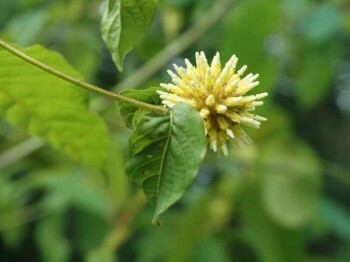 KratomEye.com is not responsible for cuttings that are not rooted properly by the customer nor rooted plants that perish after 24 hours within customer’s care. We will only exchange cuttings/plants that absolutely did not survive the shipping process (within the United States). It is the customer’s responsibility to research growing techniques. KratomEye.com is not responsible for educating the customer on growing tips. It is normal for some leaves to fall off during the shipping process, as long as your stem is healthy you can proceed with the cloning or planting process. Read here for our full terms & conditions regarding plants. Kratom is not FDA approved for human consumption. Our products are not intended for use in the diagnosis, cure, mitigation, treatment, or prevention of any disease or medical conditions. We do not provide any information on usage including questions regarding to medical/healthcare advice. Please consult with a healthcare professional or specialist for such matters. If customers are not compliant with these factors, we can no longer be of service to those customers. By placing an order with us you confirm your agreement with all of our policies & terms. Buyer also agrees to indemnify & hold harmless the seller to any and all claims, liabilities, or causes of legal actions. Thanks for your compliance. We unfortunately cannot refund shipping charges. Transactions are performed in $US Dollars. Your information is kept private and is not given or sold to any third parties. We reserve the right to refuse service for reasons including (but not limited to) fraud (or suspected fraud), abusive/threatening language and attitudes, non-compliance to our policies or governmental compliance or any other reasons that would create a lack of trust and other unpleasantness emanating from the customer, etc. We do not provide any information on usage. By placing an order with us you confirm your agreement with all of our policies & terms. Buyer also agrees to indemnify & hold harmless the seller to any and all claims, liabilities, or causes of legal actions. We hope you enjoy our site and our dried leaf powders. Contact Us with any inquires or the like.